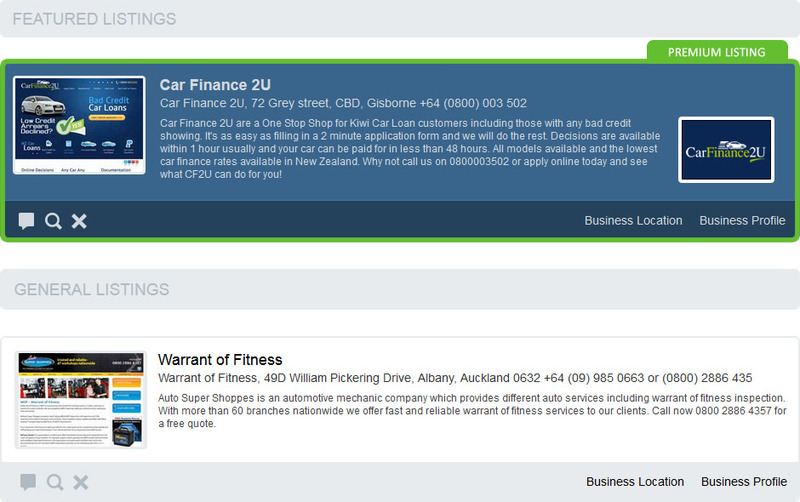 Premium business listings offer 200% more directory exposure and are displayed in premium listings, above featured logo, featured and general business listings, as highlighted in green below. This listing option offers you the maximum chance to increase your listings visibility even further by including a logo or image (105 x 70 pixels) with your business information on a highlighted background. Included with this option: Full page business profile including address and contact information, business location map, travel planner, social sharing options, display in upto 3 relevant categories and search results. Review and setup within 24 hours. One-time listing fee for 2 years display.